I came across a program that claims it can provide people the opportunity to earn $128,538.50 in just 13 clicks. So far, this is the boldest claim I’ve seen among the other programs I have reviewed in the past. If you’re one of the people who visited their sales page, then the income claims there may have caught your attention. But you are more interested to know more about this program and if it can deliver on its promise. 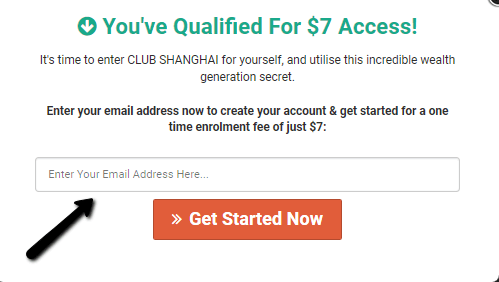 So, is Club Shanghai a scam or a legit way of making money online? You’ll soon find out because I will share with you all the info, I got about this program in this Club Shanghai review. Club Shanghai is a new program that claims it can provide people the opportunity to earn $128,538.50 in just 13 clicks. According to the narrator of this program, their system takes advantage of a loophole on the web using WeChat. He also claims that you don’t need any technical skills or experience in online marketing to earn that kind of money, because you’ll be using a revolutionary app that is being used in Shanghai and it’s called WeChat. However, this does of course not mean it will just be a magical way to make money online, because there are no shortcuts or secret app that can automate the whole process for you. That is why I don’t recommend this program because it contains several red flags that make it a risky investment, in my opinion. I would suggest that you look for other legit opportunities that can truly provide you the results that you are looking for. What is Club Shanghai and what does it offer? The first thing I noticed on their sales page is the incredible income claim on the header text and the supposedly low investment you need to shell out to join their program. In fact, the program will only cost you $7 to get in, and you’ll have the opportunity to take advantage of a secret system that can lead you to a profit gold mine, according to the narrator. Also, this program is supposedly straightforward to use since you only need 13 clicks to set up everything and you’ll just need to wait until the money flows into your account. However, one thing noticeable in their sales video is the lack of info about who the real owner of this program is. You’ll hear a man with an English accent, but he is not interested in revealing his name. He will just tell you that he is a journalist who reviews various types of programs and when he got the opportunity to join Club Shanghai, his life changed overnight. One of the income claims on their sales video. The narrator will also claim that you don’t need any technical skills or experience in online marketing to earn that kind of money, because you’ll be using a revolutionary app that is being used in Shanghai and it’s called WeChat. WeChat is a Chinese messaging app that supposedly generated 40 billion dollars in profits in 2018, and It is also considered as the world’s largest standalone mobile app by monthly active users, so we know how big it is. However, this does of course not mean it will just be a magical way to make money online, but based on what the narrator says, you will be one of those lucky people who will be able to take advantage of this loophole once you decide to join his program. Honestly, I’m NOT a fan of programs that claim you can easily make a ton of money online without investing time and effort, because I know those are the main requirements to succeed in this field. I have reviewed a lot of programs in the past, so I can quickly point out several of the red flags on their sales page, and Club Shanghai is no different because it has the same type of promises and claims you can find in other related programs. That’s why I want to share with you some of the red flags I’ve uncovered from their sales page, and I hope it can help you make an informed decision about this program. When I first saw their sales video and the many claims and rewards being presented by the narrator, I noticed a distinct trend – it’s all positive outcomes but no proper explanation of how their system works and what your role inside it is. The narrator will just tell you that their system will only cost you $7. It’s cheap compared to other programs on the web, but you’re not allowed to know more than that. You just need to accept the fact that their system will work flawlessly in your favor, but the cost of the product is not the main concern here. My main concern is that the creator does not tell you any details about their program. You need to at least know the basics of how their system works and how you will make money with it. In my experience, a program that is not giving you any details about what it is offering until after you have paid are often not doing this because they do not want you to know for a reason. That’s why you must take this red flag seriously before you decide to purchase this program. On their sales video, the narrator will tell you that there are only 100 positions left available before they close their program, so you need to act now before it’s too late. They are using false scarcity tactics to get you excited. In my opinion, using scarcity tactics is not a bad idea, and it’s being used by online businesses to move their prospects into action, but that’s not the case with this program because they are employing false scarcity tactics. When I checked their sales page after 24 hours, I still see the notice that there are only 100 positions left and they are still open for business, which in my opinion, is unethical because they are not truthful to their prospects. Another instance where they use false scarcity tactic on their sales video. They just want you to get excited, so you’ll decide to buy their program without proper research or investigation. It’s clear that this is another red flag that you should consider before you make your final decision. Will $7 be enough to be successful in this program or are there any upsells on the inside? On the sales video, the narrator will keep reminding you that it’s just $7 and it’s as cheap as buying a cup of coffee from your favorite coffee shop. According to the narrator, the cost of this program is like buying a coffee from your favorite coffee shop. But when I checked this program on ClickBank, where they sell this program from, I found out that they are promoting upsells after the initial payment. These upsells were not revealed on their sales page, but I can safely say that you will probably be paying more than $7 because they will also need to pay their affiliates. Now, guess where they’re going to get that money from? Honestly, the $7 initial cost is just your entrance fee to their membership page, and you might also need to purchase their upgrades to raise your chances of making money online. If you want to invest in a program, then surely you would like to know who you are dealing with. But with Club Shanghai, you will never know who the real owner is because he or she is not referenced on the sales page. In my opinion, this is a breach of trust between the real owner and the would-be members of this program, since they are not transparent enough to reveal their real identity. Would you be willing to take your chances in a program when you have lots of questions on your mind and do not even know who is behind it? If the owner of this program truly believes that his system can provide value or help people make money online, then why won’t he or she reveal him/herself to the public? Again, this is a red flag that you need to think about before you decide to join this program. Another significant red flag I would like to point out is the lack of legal information on their sales page. The legal pages are essential on any site – especially if it’s a website that sells a product. In Club Shanghai’s case, the income disclaimer is relatively crucial because it’s written on this page what guarantee they give their members regarding their program. Without the income disclaimer, you will never know if they can guarantee your success. I am not saying that they are going to sell it, because I obviously do not know. I am just saying that you do not know what will happen to the info you give them as it is not stated on the website. This is, in my opinion, a big red flag as you want to be sure your privacy is safe before joining any program. So, is Club Shanghai a scam or a legit opportunity you can rely on? As for me, your answer will greatly depend on your own perspective, and if you find any value on the claims and features, they have highlighted on their sales page. I have shared with you all the red flags I’ve uncovered on their site, so I know you are now in the position to make an informed decision about this program. Honestly, I don’t recommend this program since it contains several red flags that I think would make it a risky investment. You should, in my opinion, look for other legit opportunities that can truly help you create a decent income online and not risk your money on a program with so many red flags. 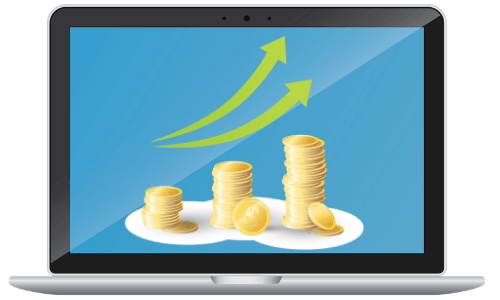 If you really want to know the most ethical way of creating a passive income online, then you need to check out my step-by-step guide, where I will teach some of the essential steps you need to take to create a career in affiliate marketing. These are the same steps, I took when I was just starting out, and I still use these methods now because it’s the same recipe that has helped create my full-time income online. If you have any questions, feedback or comments about Club Shanghai that you want to share with me, I would love to hear from you in a comment below.